appears as soloist and chamber musician in Sweden and Switzerland. An important focus lies on original music and arrangements of pieces for cello and organ, as she has been collaborating with many organists and composers these past years. She has been dedicated works by Gregory Lloyd, Armand Gutheim, Laurenz Custer and Jürg Rutishauser. After her studies, Eva Maria played in the orchestra of the Royal Opera in Stockholm. Since then she's regularly employed as substitute cellist by various symphonic orchestras in Sweden but concentrates on her solo appearances. She completed her musical studies at the College of Music in Winterthur with a combined teaching and orchestra diploma. Postgraduate studies with Angela Schwartz at the College of Music in Schaffhausen and Ksenjia Jankovic at the University of Music in Wurzburg (Germany) followed, before Eva Maria was invited to study as a guest student in the performance classes of Ola Karlsson and Elemer Lavotha at the Royal College of Music in Stockholm (Sweden). More important musical insights were gained in master classes by cellists Truls Mörk, Anner Bylsma, Marcio Carneiro, Evjenji Xaverieff and Raphaele Altwegg. Generous scholarship of the Departement of Culture Thurgau 2000 and the St. Erik's scholarship in Stockholm 2004, 2005 and 2007. SPECIAL HIGHLIGHTS in the past years have been recitals with pianist Bengt Forsberg during the festival "Musik på Slott och Herresäten", concerts at the residency of the Swiss ambassadors in Stockholm, a collaboration with Swiss actor Bruno Ganz on the stage of the National Theatre/Dramaten in Stockholm, the part as cellist and Teresa Salieri in "Amadeus" at Dramaten, literary events with Swiss Writers Amélie Plume and Ulrich Knellwolf, the recitals "Impressionen", "Sense & Sensibility" and "Klänge einer vergangenen Zeit" at Westspiele Zürich, Kloster Fischingen, Literaria Bischofszell and Frauenfelder Abendmusiken as well as performances of new written compositions by Swiss composers Custer, Zentner and Rutishauser. 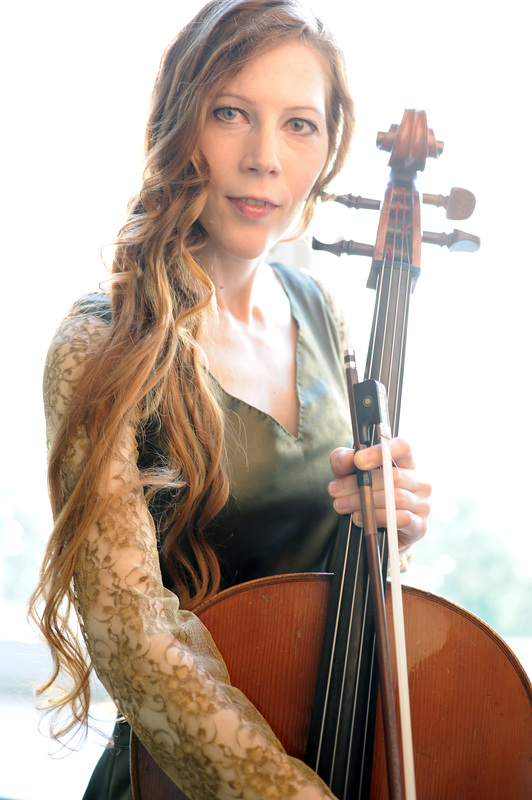 Eva Maria has performed the cello concerto by Matthias Georg Monn with the orchestra of the city of Frauenfeld, Vivaldi's double concerto with the chamber orchestra of Sofia church and John Taveners cello concerto "The Protecting Veil". She played at the side of Swiss singer Nubya and Swedish trombonist Nils Landgren at the spectacular jazz event "The Spirit of Montreux Jazz". Eva Maria was appointed event producer/culture officer at the Embassy of Switzerland in Stockholm 2008-2011 and is now occasionally working as producer. Apart from music, Eva Maria loves to read and write crime stories. Her first short novel, "Mord nach Noten", was published in 2011 by Gmeiner. In 2015, her crime novel "Im Labyrinth des Poeten" (Latos) and the short story "Tauwetter" (Brotseiten) followed. Her second novel "Die Hand der Mirjam" has been released in November 2018.